Foolproof Spanish Recipes for Everyday. Spanish food can be incredibly easy to make at home. 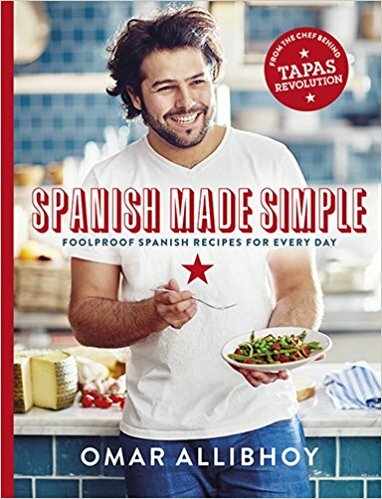 In Spanish Made Simple, Omar Allibhoy, the chef behind the Tapas Revolution restaurants, guides you through the basics of 100 key Spanish dishes. All the ingredients are available from supermarkets and you don’t need to be an expert cook. Spanish cooking is characterised by deep flavours, vibrant colour and minimal ingredients so you will learn to make a paella that packs a punch without spending hours in the kitchen, cook up a tapas feast for friends, and even whip up a delectable Spanish dessert in minutes. Sunny and delicious, informal and everyday, Spanish cooking is for everyone, from skilled chefs to complete beginners, and Omar tells you how.